For me, one of the greatest attractions of LinkedIn is the authenticity that comes from making connections with the owners of a business. It gives me more insight into their values and operations, and can be a huge determinate when it comes to selecting products and services. It was these thoughts playing on my mind when I came across the #LinkedInLocal movement around September 2017. I was immediately captivated by a movement that sought to network, not to sell and pitch, but to really connect. To let us meet the people behind the business in a relaxed environment, with no pressure to sell or spruik. 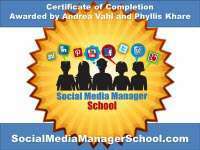 As a social media strategist I have often wondered why more local businesses were not leveraging LinkedIn. Was it because there is some disconnect between an electronic profile and the human behind it? Was it because some business owners couldn’t see how LinkedIn could benefit their business (and this is often the case where the focus is more on selling than making connections. It is harder to see the benefits when we are faced with the daily grind). Perhaps it was because on other social media platforms we can get so hung up on numbers that we forget about the human side of actually connecting individually? I also wondered whether it was because for some business owners, they stay behind their business name and have not “unmasked” themselves on LinkedIn. Time to get out of one comfort zone, and into a laid back networking zone via #LinkedInLocal (where you will still feel comfortable). I contacted the inspiration behind the #LinkedInLocal movement, Anna McAfee. She started #LinkedInLocal in Coffs Harbour after exploring statistics and seeing that of the 23,000+ accounts in her region, under 900 were active. After posting a comment about it, one of her connections, who she had not physically met before, said “why don’t we meet then” and the rest is history. An incredible movement has started and is moving rapidly across the world. There are many reasons why LinkedIn is really valuable to a business. In enables you to build quality business relationships, and interact with a group of like minded business owners and job seekers. #LinkedInLocal takes this to the next step, beyond the initial professional connection, to the human element. We must not forget the value of interaction with the incredible potential in our own area when we are looking to grow our business and teams. Anna says “we are all here to do business, share experiences and grow our networks, and learning from those who have paved the way already is a truly valuable exercise. If you don’t have a LinkedIn aficionado in your area though my suggestion is organise one anyway, as we did. There is no need to host a workshop style event or have high local engagement on LinkedIn, as we have proven in Coffs Harbour. It simply about making a connection, getting to know one another, and working together towards better business relationships” . 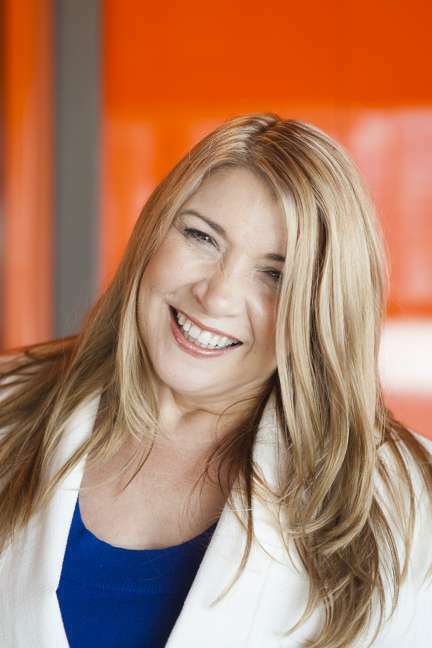 Following my discussion with Anna, I decided it was time, as a local “LinkedIn aficionado” to put it out there to my wonderful home town of Geelong. I’m a third Generation Geelongite. I am loving the current buzz as our community helps to build Geelong into an incredible knowledge base, a hub of startups, ideas, new services, great products and innovative manufacturing as we move into a new era. #LinkedInLocal exists as a non profit, no pitch, no sell form of networking. A refreshing change, where the focus is on the human, not the business (but of course you can talk business too). Perth had a magnificent turn out. 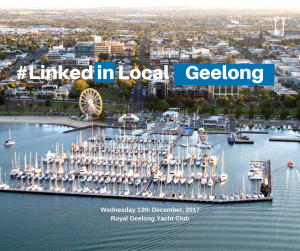 With the beautiful waterfront at the Royal Geelong Yacht Club beckoning, why not join us at our first #LinkedInLocal event in Geelong on 13 December? Share a drink, a laugh and a chat, maybe even win a prize! You can find me on LinkedIn here, message me to let me know this post led you to connect!